The environment needs wolves. Wolves are worth saving. Give the animal lover in your family a chance to thrive among wolves all week long! Camp runs Monday - Friday and is appropriate for children in grades 1-8. Throw your birthday to the wolves! Guests will celebrate by creating "presents" for the WCC's Ambassador wolves and will learn about wolf behavior. Learn about North America's wildest residents - wolves - during an education session with a WCC wolf expert. Private programs are offered for school classes, scout troops, corporate teams, and more! Camp out overnight with the 40+ wolves that call the WCC home! 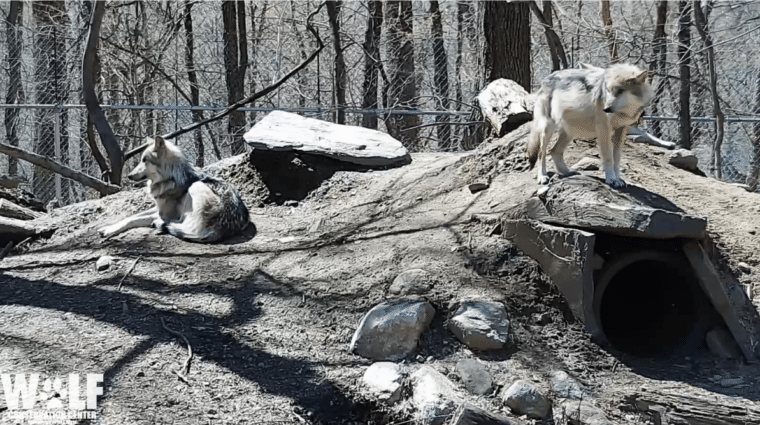 With wolves, vultures, and open skies, we're New York's version of Yellowstone! "Wow! Besides getting an education on some of the most beautiful animals on the planet and being in “their environment “ it truly was one of the top 10 trips I have taken. The staff are FANTASTIC!" "First off, this place is AMAZING! We had an amazing time learning and watching the wolves. The staff is very friendly and helpful too." "This was on my sister in law's bucket list, and I am so glad that she, myself and my children were able to experience it. Seeing the Ambassador Wolves up close was a spiritual experience and the staff was amazing and knowledgeable." Can't visit our wolves in person right now? Meet our wolves on webcam! It’s the 49th Earth Day, an annual international event meant to raise awareness about the efforts to protect the planet and secure a sustainable future. This day underscores the ripple effect of each individual’s actions that benefit the environment to ensure a viable planet for generations to come. How will you celebrate? To those who observe wishing you a blessed Good Friday and Happy Passover. We are a non-profit that relies on donations from donors like you to complete our mission of education and conservation. We need your help to make our voices heard. Visit our Action Center to write a letter in support of wolf conservation.